Enchant Vellum adds a button and an information label to Enchanting window. Label shows the number of Enchanting Vellums you have in your bags and a button allows you to automatically cast selected enchant on the vellum without having to target it. The button is not shown for recipes that are not enchants and if you have zero vellums. 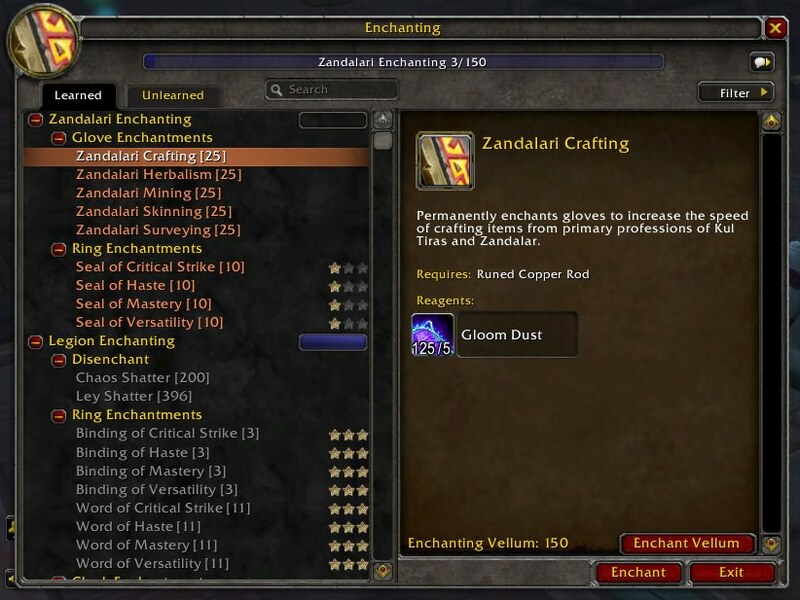 Works best with Disenchant Crafted Items addon which will help you get materials to enchant those vellums.